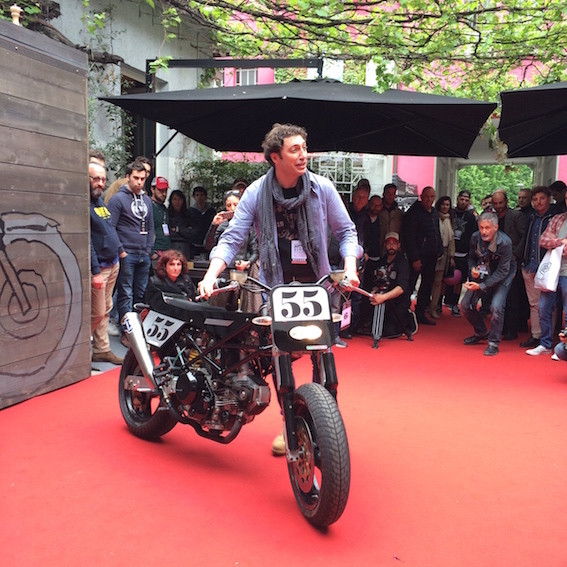 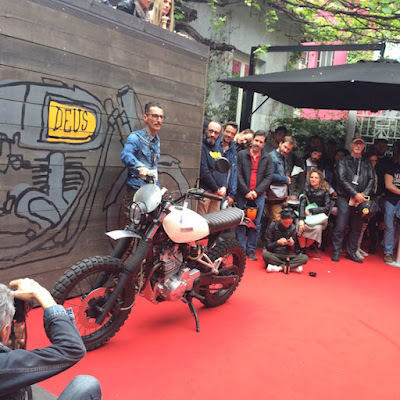 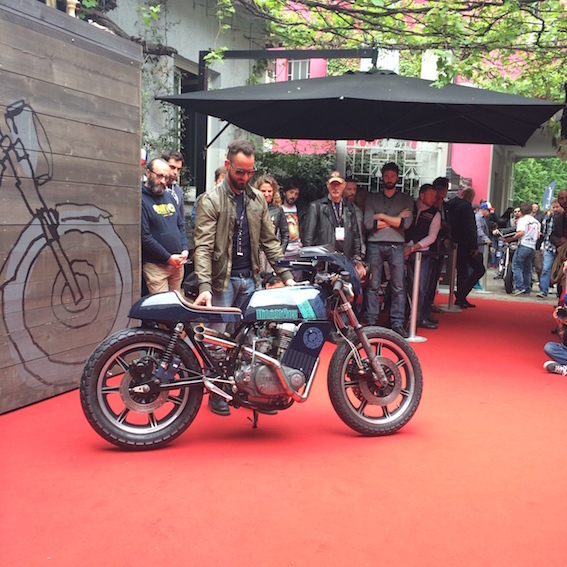 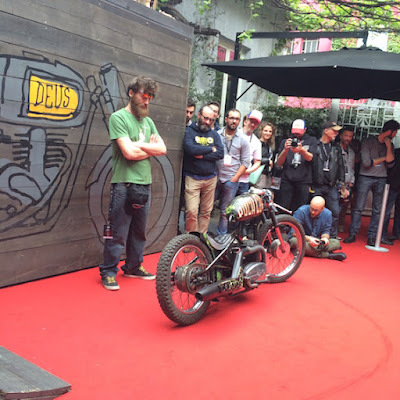 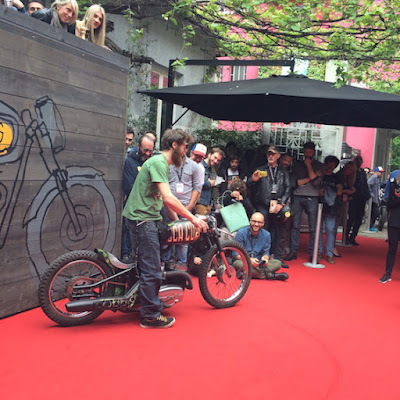 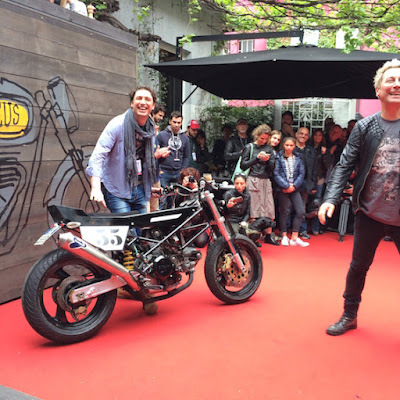 Back in May I was invited out to the Deus Bike Build-Off in Milan, Italy, and asked to be one of the judges. You can see the earlier posts here (Deus Milano Bike Build-Off). 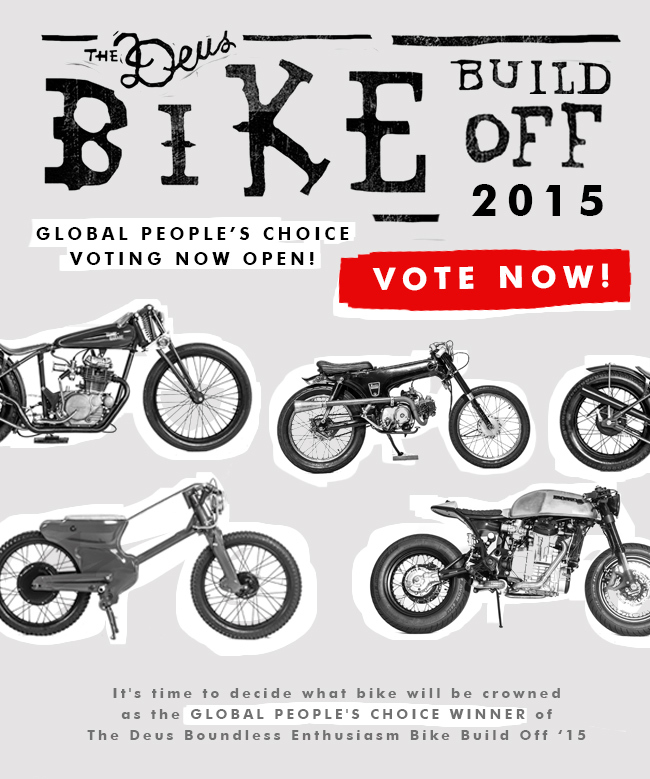 Now the public vote is open to choose the Global People's Vote, and it reminded me to post these photos of some of the finalists. 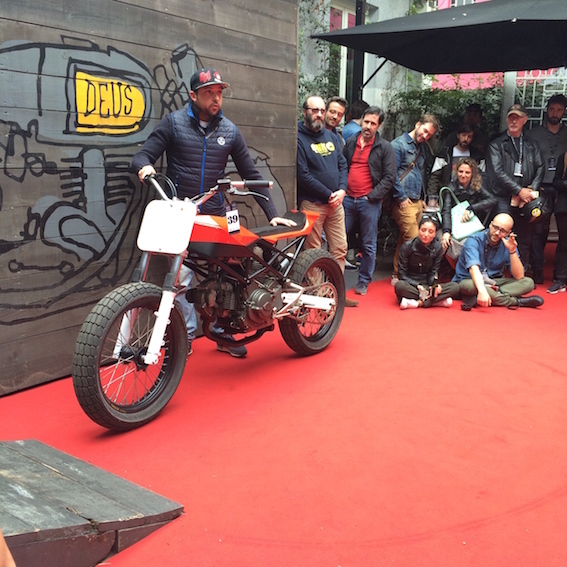 The builder of this Monster 750 street tracker got the stance dead right, I reckon. 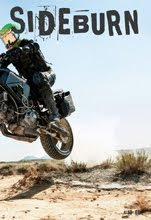 It might be a little long, but I could see someone having fun against the Harley Sportsters in the Hooligan class on something like this. 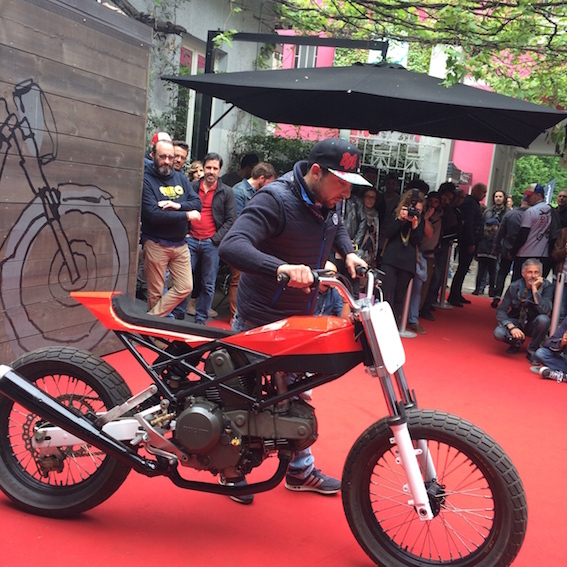 Another Ducati street tracker mash-up. 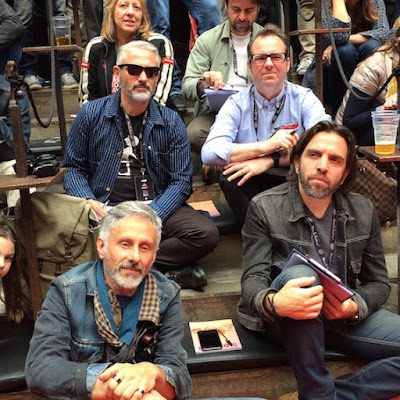 Judges looking studious. 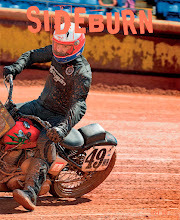 Clockwise from front left, Raffaele Paolucci (Sideburn contributor, great photographer, shot Sideburn 11 cover); Vincent from Wheels and Waves (who shot one of Sideburn 12's two covers); Paola Furlan (web journalist); Roberto Ungaro (editor of Riders magazine); me! 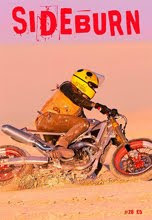 ; Fabric Roux (editor, found of French magazine Moto Heroes). Euro dirt track hero, Jacopo Monti. 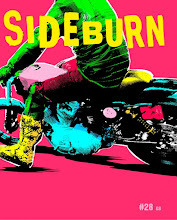 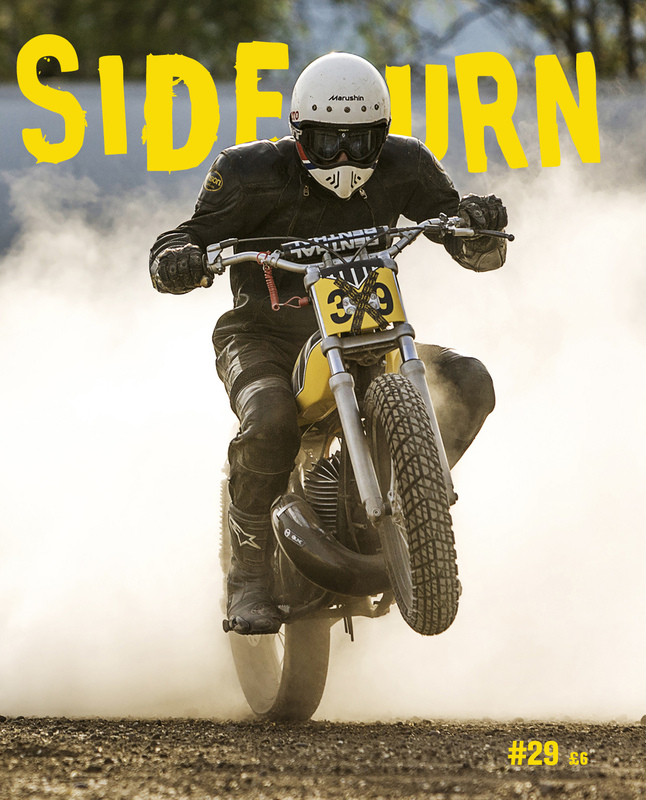 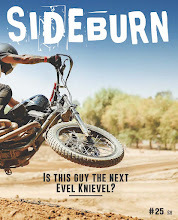 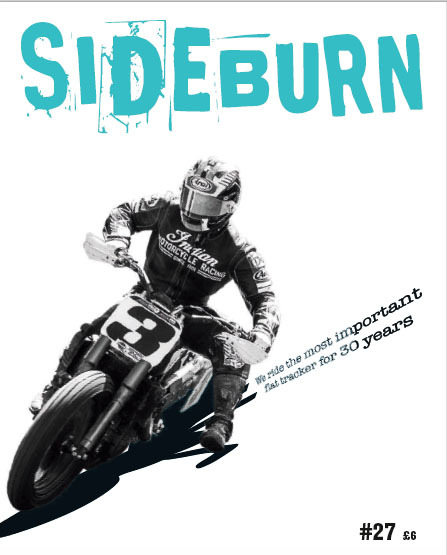 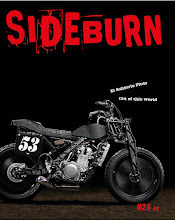 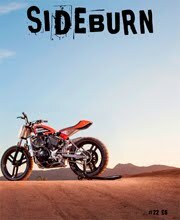 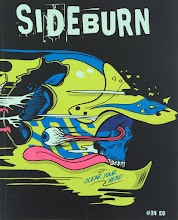 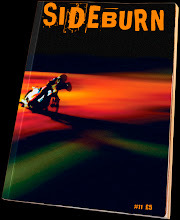 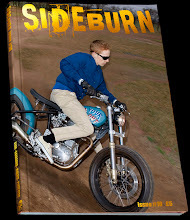 He's in Sideburn 21 riding the KTM 690 Duke he build for his friend. 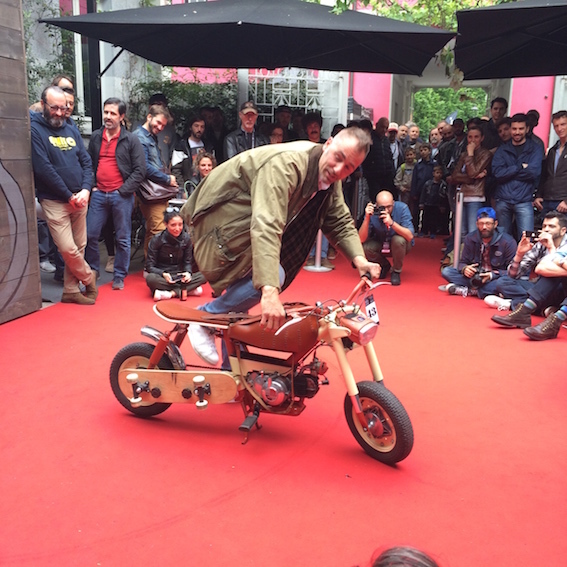 His little Motobi Motoretta minibike was converted to fuel in frame. The 'tank' was a leather rucksack that Jacopo made himself, It unclips from the bike. K Model BMW was neat, but I cut off the bottom to show the setting. Deus Milan is in a courtyard, with residential apartments looking down on it. 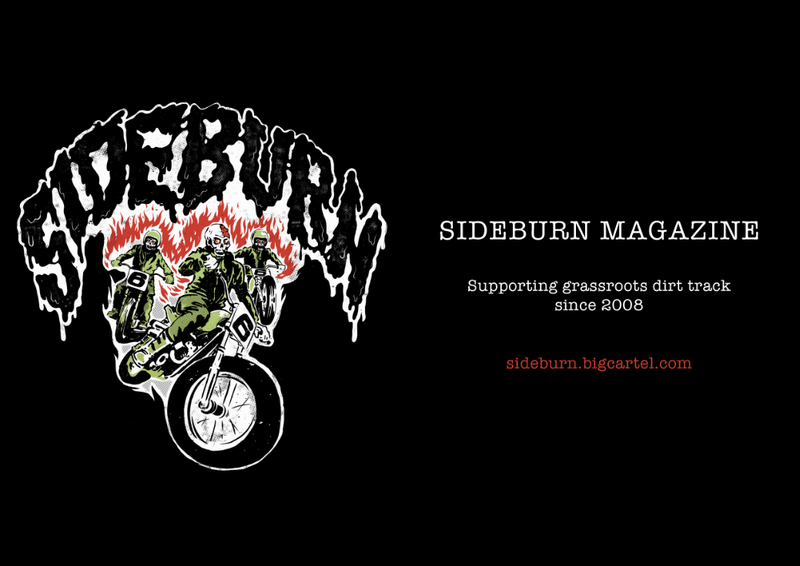 If you get chance, make sure you go to this great shop. 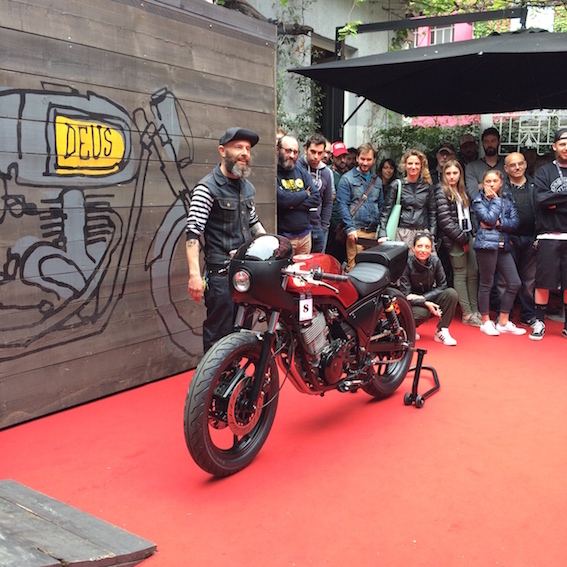 Elsewhere on the same street is Officine Mermaid's two shops and cafe and a couple of other interesting moto-themed shops. 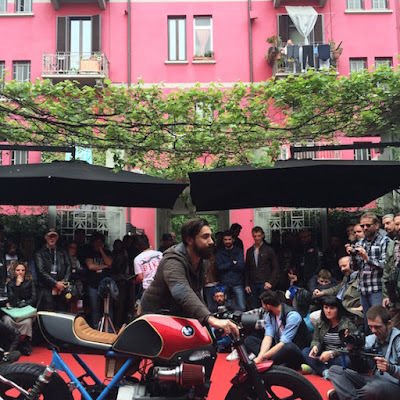 I also like how European bike show crowds, especially Italian ones, look quite like no other crowds on earth. 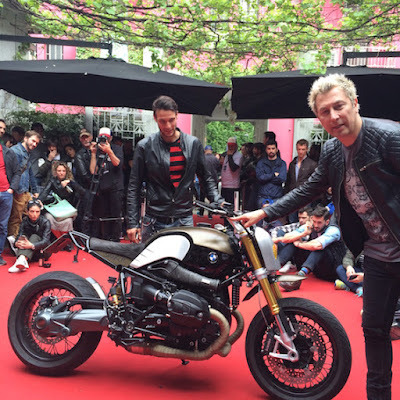 Brand new RnineT modified by a local BMW garage, with a bunch of nice touches. The MC was Virgin radio's DJ Ringo. 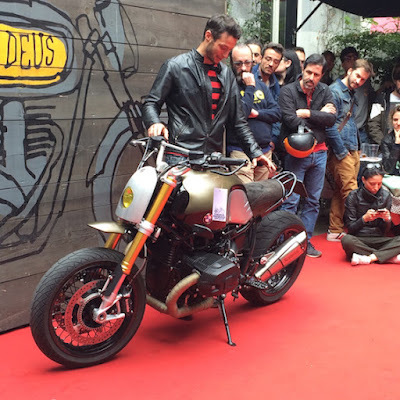 He's bike mad and a big deal in Italy.